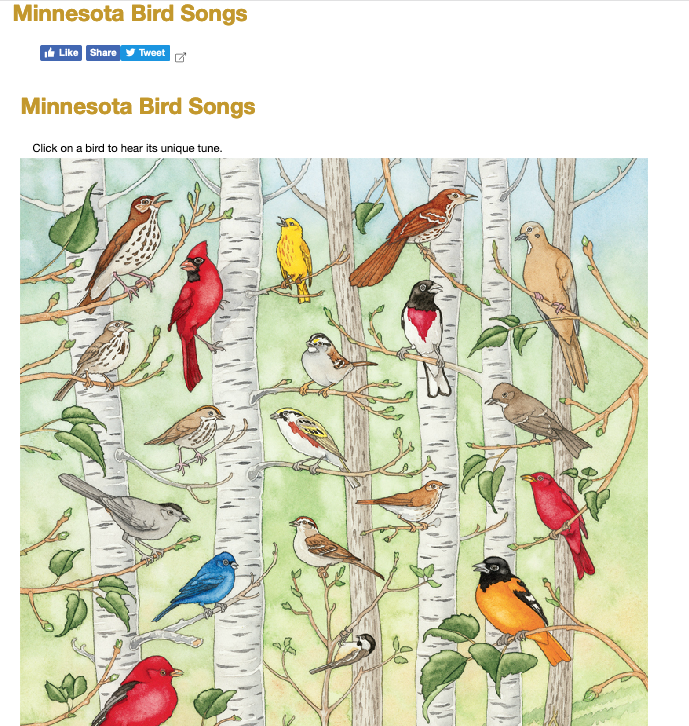 Learn the bird songs of the northwoods. Below is a screen shot of a website page from DNR. Click here to open the page. Then you can click on each bird to hear its song. This is the text of a letter that is being mailed or emailed to all members of the Long Lake Area Association about a new variance application that will be considered on 4/22/19 by the Hubbard County Board of Adjustment. This information is being provided as part of our continuing mission to communicate with our members. It has come to the attention of the Long Lake Area Association Board of Directors that Chris Bolton has requested a variance again from the recreational vehicle camping site 3000 sq. ft. minimum area requirement in Section 402.8.C of the Shore-land Management Ordinance. We wanted to let you know that there is an opportunity to provide your own comments, both written and/or in person regarding the requested variance 4-V-19 to allow 2400 sq. ft. minimum recreational vehicle camping site sizes instead of the minimum of 3000 sq. ft. This area is part of his proposed RV Park on the northwest side of Long Lake on Hubbard County parcel ID: 13.42.05000. See the timeline for your opportunities to participate way below. Your comments and your presence matter for Long Lake! Part of LLAA’s mission and values support the association’s involvement in education and communication on commenting on this proposed project variance. On Monday 4/22/19 at 6 PM, Hubbard County Government Center, 301 Court Ave, Park Rapids, Board Room #324, the variance 4-V-19 will be reviewed by the Board of Adjustment (BOA) along with other agenda items. Instructions for navigating to the electronic county agenda and the variance applications are documented on the Notice of Hubbard County Board of Adjustment Public Hearing/Meeting for Variance Application 4-V-19 attached. by the current or prior property owners? • Will the issuance of the variance maintain the essential character of the locality? • Does the stated practical difficulty involve more than just economic considerations? Now until Wednesday, 4/17/19 – 4:30 PM – written comments are due that you want the BOA to have in the morning as they leave from the Hubbard County Court House by van for the Lot Viewals. See criteria for BOA above. 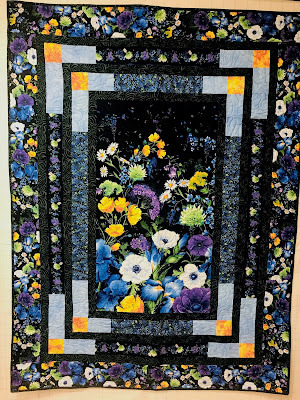 Monday 4/22/19 – 6 PM is the BOA Meeting in Room #324 of Hubbard County Gov. Center for the Variance for 4-V-19 and other items on agenda. Also, during each meeting, there is a public comment opportunity limited to 3 minutes per speaker per agenda item. See the Meeting Procedure on Environmental Services Website * or on the LLAA website on the Shoreline Ordinance tab. We hope you find this information helpful so that you can feel comfortable being part of the public comment process – written and/or verbal. We look forward to seeing you at the BOA meeting if you are in the area. We continue to work in partnership with the Neighborhood #6 team and the lawyer with shore-land ordinance experience, Mr. James Peters. Our "Spring Fever Watch" is on and Long Lake Area Association is announcing the 2019 Ice Out Contest. The prize🏆for guessing the exact date of ice out is bragging rights on your superior insight. 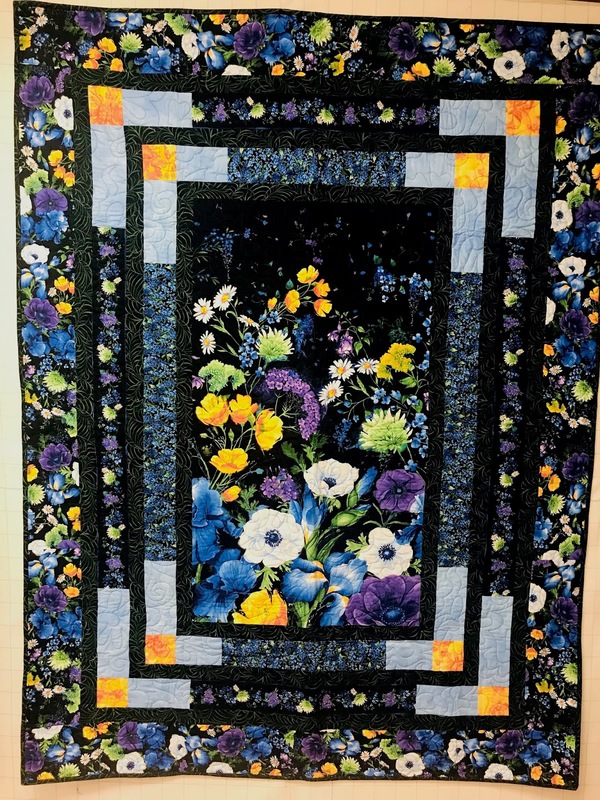 All who submit guesses will be entered into a drawing at this year's annual meeting for the best prize, a spring quilt donated by Monika's Yarn and Quilt shop! "The sun has been shining and high temperatures in the forties this week and it is like winter has left us abruptly. Yes, we still have pretty good snow cover but that sun feels so nice. According to our records, the median ice-out date is April 19. We can tell from the data that we can be 99.7% sure it will not be before March 20 nor after May 18. Kay is guessing April 19 and I am going with April 21 for this year." "Readers are asking if winter is really over? Sort of. Expect a few final tantrums of slush in coming weeks. On Friday a rain-snow mix may drop a couple inches of slush on far southern Minnesota. Don't worry. It'll melt. With any luck, we won't enjoy a mid-April blizzard this year." ✔️ It seems that snow should melt from the top down, but the truth is that it melts from the bottom up. The sun's warmth heats the darker ground, which melts snow at ground level. Minnesota Lakes and Rivers Advocates believes that science must drive natural resource decisions. In 2012, as zebra mussels were starting to spread across the state, we worked on a multi-pronged effort of education in the media, legislative solutions, and science. 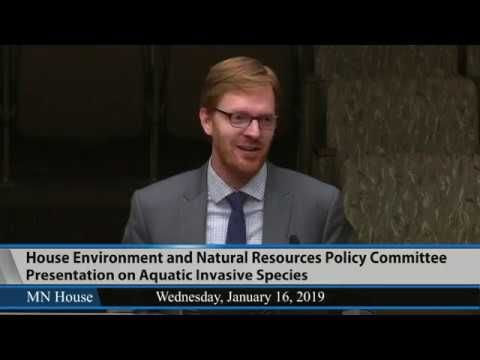 The MN Legislature, using both Natural Resources Trust Fund dollars and direct appropriations, created the Minnesota Aquatic Invasive Species Research Center that year. Science takes time, but workable solutions are starting to emerge and the early investment is starting to pay off. "There are reasons to be optimistic... science can make a difference." Dr. Nick Phelps to the House Environment and Natural Resources Policy Committee. During his testimony at the House Environment an Natural Resources Policy Committee, Dr. Phelps referenced new findings, "Hot off the presses." In reference to a big lake study of the impacts of AIS on fisheries by Dr. Gretchen Hansen, he said, "The impacts of spiny waterflea and zebra mussels are significant. They (walleye/perch) do grow slower in lakes that have zebra mussels or spiny waterflea. Slower growing fish reduces survival in the first year." Dr. Phelps went on to note that of the nine large lakes studied, Mille Lacs is the only one that has both invasive species. Reliable, ongoing funding that provides scientific independence to the MAISRC has never been provided. Instead they have had to cobble together operating funds from a variety of sources. Said Dr. Phelps, "Baseline funding is important. It is hard to plan longterm efforts when you have to jump grant to grant." Please take action today to let your elected officials know that you support the work of the Minnesota Aquatic Invasive Species Research Center, and urge them to find a way to provide funding that is; 1) reliable, 2) sufficient to meet core needs, 3) provides independence to MAISRC researchers. Use the ACT NOW button at the top or bottom of this email to send your legislators an email. Please take a moment to edit the boilerplate language provided and personalize your message. 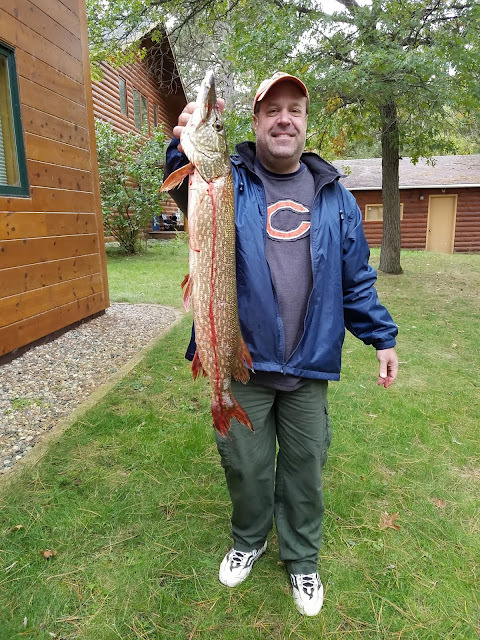 Northern Pike caught by Scott Riemenschneider on September 30, 2018. He was trolling with a blue/silver rattle trap lure off the Southwest shore line of the lake. Do you have a good fish story to share? It can be either Summer or Winter fishing. Just email your picture and the complete story to longlakeliving@gmail.com. Doing that will enter you into the contest. Three prizes ($25, $15, $10) will be awarded by a drawing from all entries. Kim pulled this 37 inch Northern through the ice on 10 pound test line. It gave him quite a fight! Do you have a good fish story to share? (It can be either Summer or Winter fishing). Email your picture and the complete story to longlakeliving@gmail.com. That will automatically enter you into the contest. Ralph Notch, along with his wife, Sharon, owned the New Frontier Resort on Long Lake since 1982. He passed away January 9, 2019. "Ralph Ladislaus Notch, 77, of Park Rapids passed away at his home at New Frontier Resort on Long Lake with his family by his side. A Celebration of Life Mass will be held 11:00 am Saturday, January 19 at Our Lady of the Pines in Nevis, with a visitation one hour prior. The family will continue honoring Ralph's life at Necce's Italian Restaurant in Park Rapids immediately following the service on Saturday. 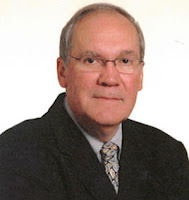 Interment will be in the Jim Cook Cemetery. Cease Family Funeral Home of Park Rapids is assisting the family."